We did a family bike ride on the Jersey side of the Delaware River a few weeks ago (the D&R Canal Towpath, a must-do if you have kids, you like to bike and you’re within driving distance). The initial part of the trail we rode in Frenchtown allowed us to peek into the backyards of a few homes that backed up to the trail. 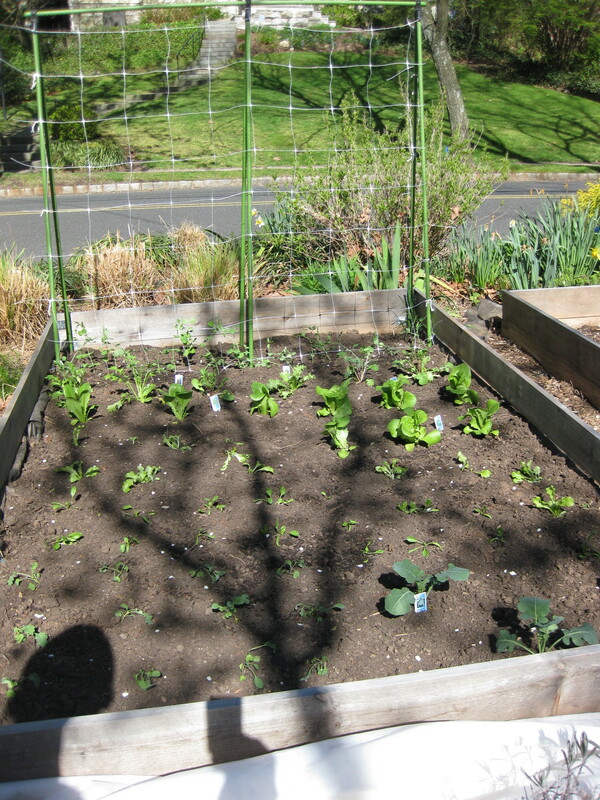 I was a little taken aback to see gardens with spinach, lettuce, kale and cabbage already up and about. The early spring combined with the use of row cover overnight was giving these folks an early start and I resolved to do the same. My seedlings, along with a few nursery-bought items went in the ground a couple of days ago. April 1: a record start for me. 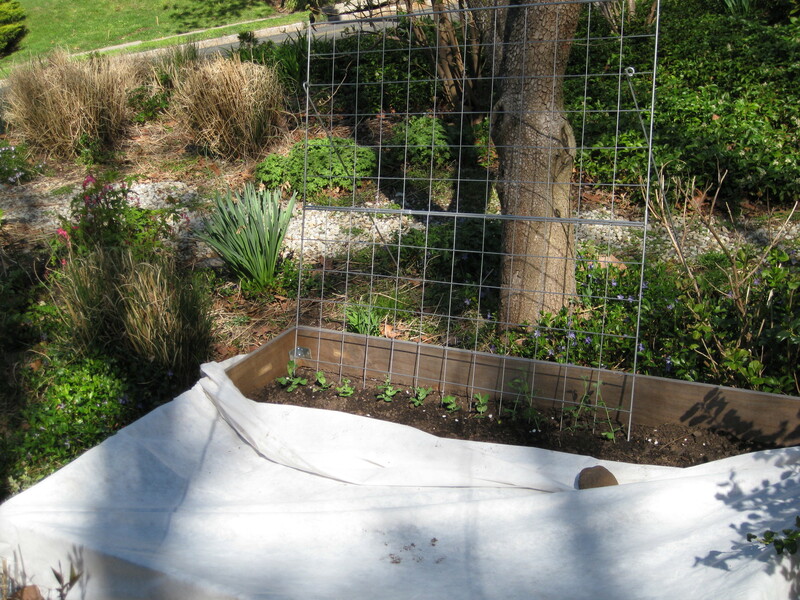 Shelling and snap peas in two beds, four types of lettuce, two types of kale, two types of spinach and 3 broccoli seedlings. I’ll direct seed carrots and beets soon as well.